Kinderdijk is known for its ensemble of well-preserved windmills and its long history of water management which makes it a unique landscape. Kinderdijk is part of the UNESCO world heritage. Many visitors of Kinderdijk arrive by boat. 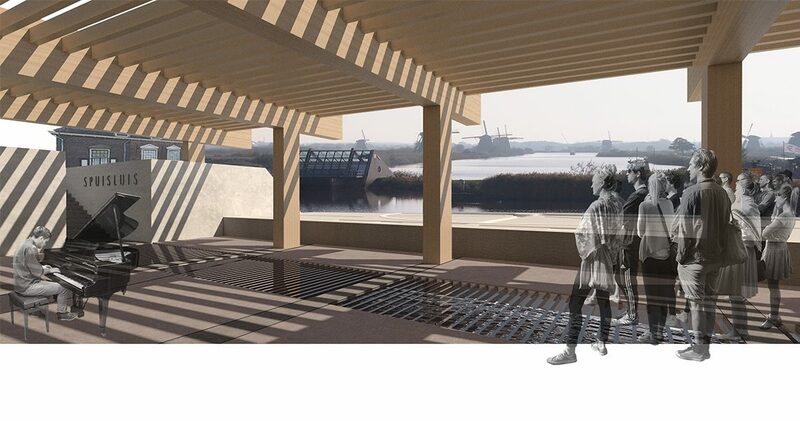 Yet, the existing entrance to the landscape was not designed for visitors coming from the water. Now, visitors first have to cross a busy road on the dyke before arriving to Kinderdijk. 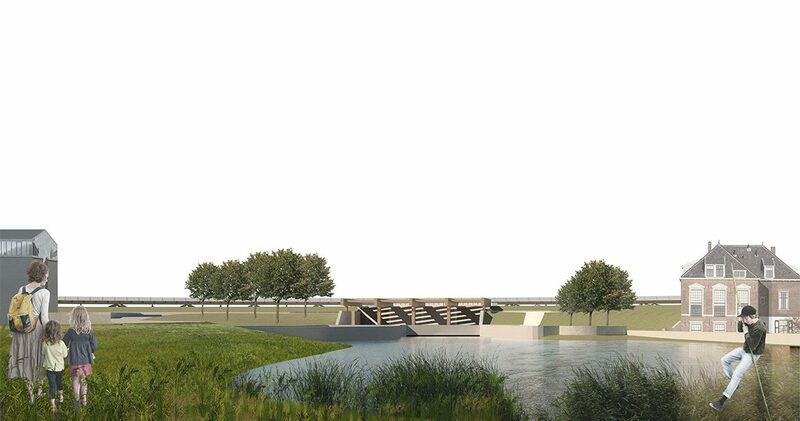 The competition ‘Water Entrance Kinderdijk’ was announced to design a new water entrance for the area. 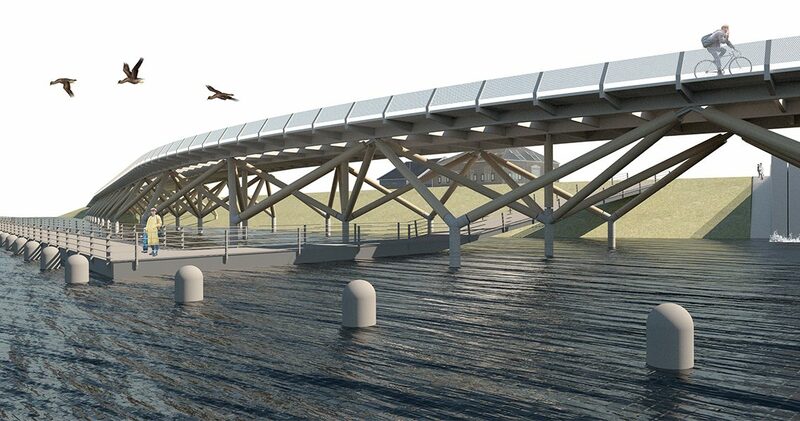 TEKTON designed a bridge in order to divert the heavy traffic away from the main road. 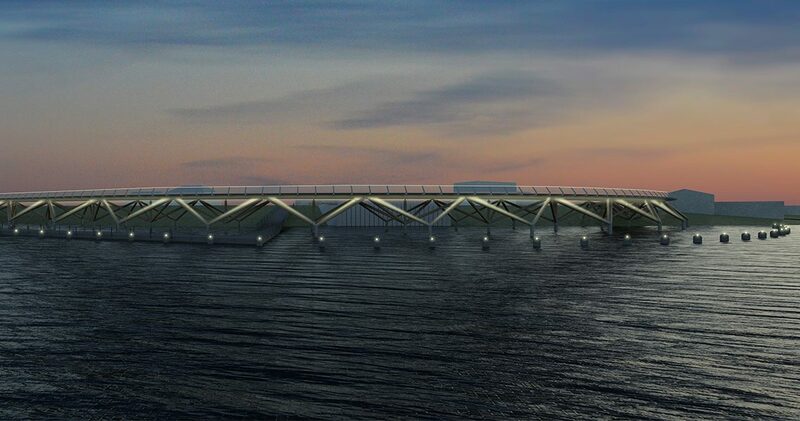 Not only will the bridge carry the traffic, it will also serve as a gate to Kinderdijk. Visitors coming from the boats will walk underneath the bridge and arrive on the now free-off-traffic dyke that is designed as a park. 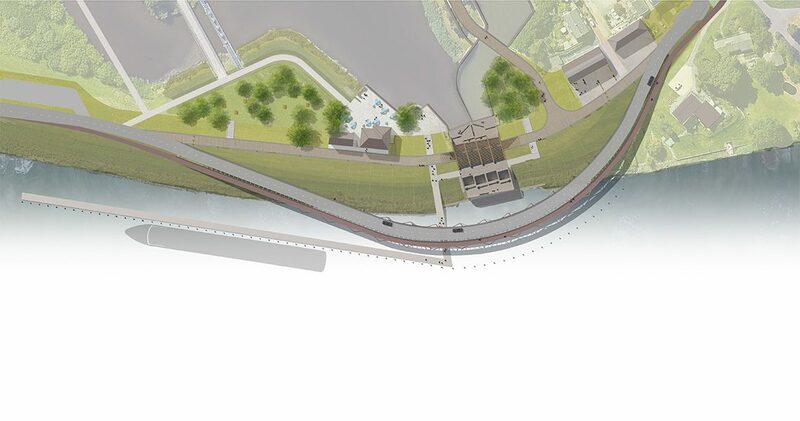 Moreover, the sluice will be opened up and turned into an interactive sight of Kinderdijk. Together, the bridge, the entrance park, the sluice and the old waardhuis make an appealing introduction of the Kinderdijk experience.